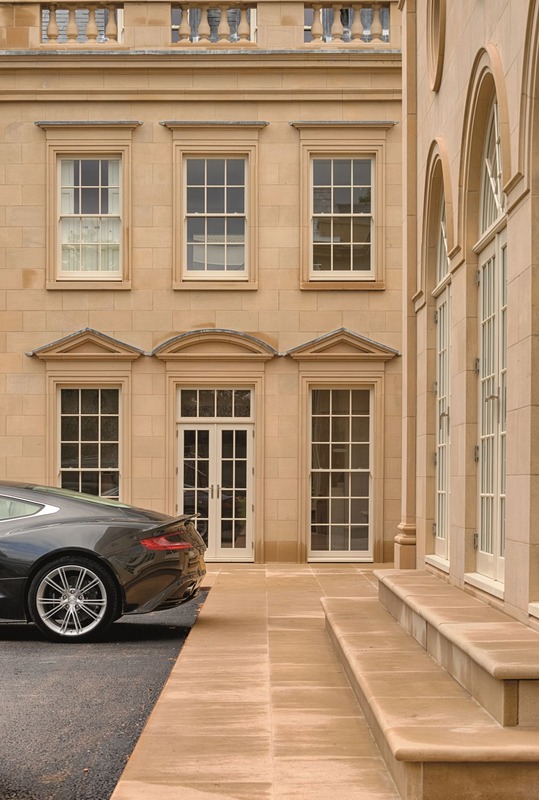 Sydenhurst is a £12m luxury manor house built near Godalming. 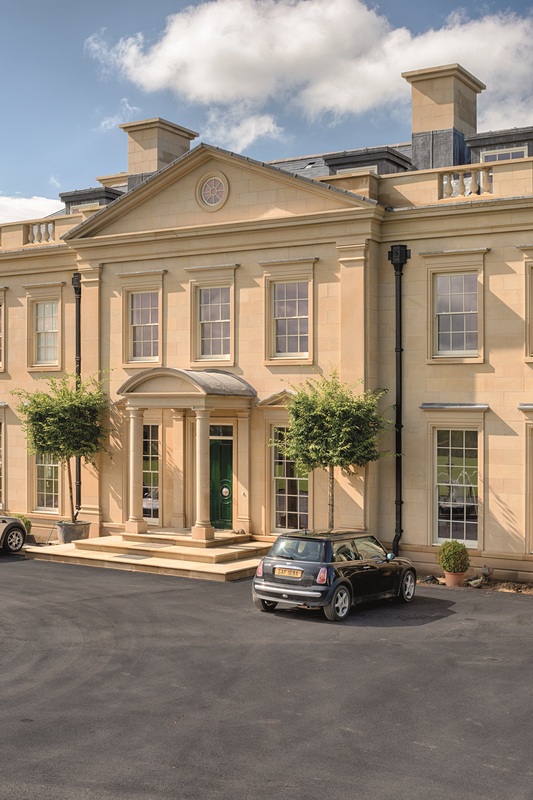 The ambition was to create a building with the appearance of a 200 year old manor house, naturally stone was the only solution. The buff Stoke Hall Ashlar walling was selected to give the building its heritage appearance. Bespoke masonry features for the heads, cills, jambs and mullions crafted from Stoke Hall stone finish the project perfectly. In consultation with the Architect and Client, the overall stone package was value engineered reducing overall costs without compromising the grandeur of the building. Carboniferous sandstone from Stoke Hall quarry. A buff sandstone with technical properties ideal for rainscreen cladding, ashlar and masonry products. A fine to medium grained buff coloured sandstone from the Carboniferous age. This versatile stone has been extracted from the Stoke Hall Quarry at Grindleford since 1835. 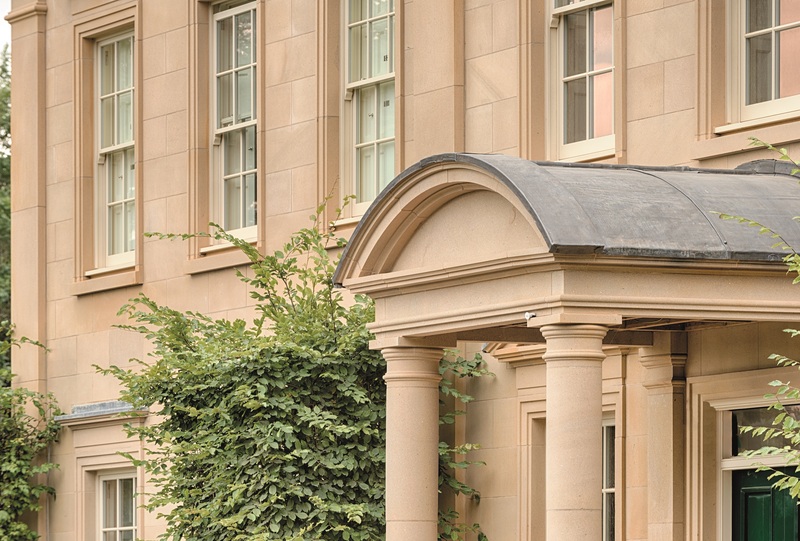 Its durability and consistent buff colour makes Stoke Hall sandstone a popular choice for a wide range of building types and styles across the UK.